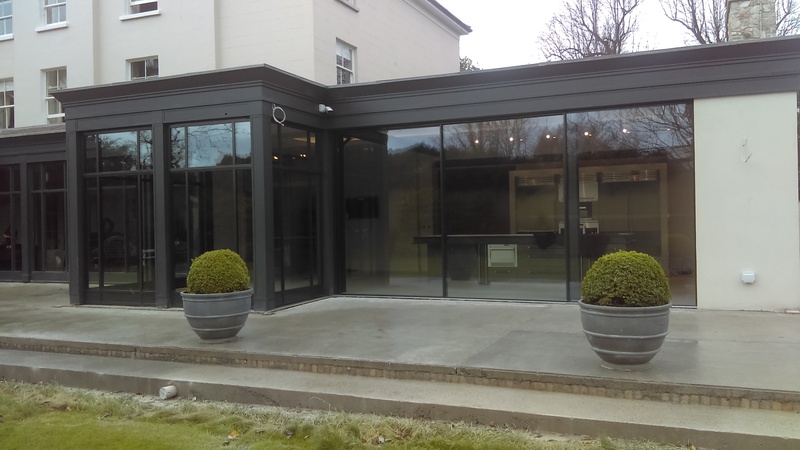 We were selected by NBK architects on this impressive residential extension project based on our specialist glazing system capabilities. 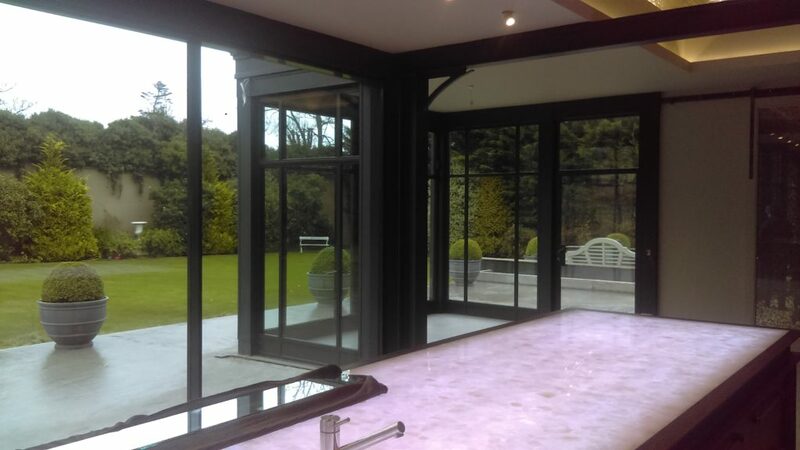 Having looked at our portfolio of glazing systems, NBK elected to use Ottostumm FerroFinestra MTS50TB thermally broken slimline steel system for swing doors, top-hung outward opening sash windows and fixed screens, in a matte-black powder coat finish, which allowed them to achieve the overall aesthetic that they sought in order to keep in line with the original glazing of the existing property and allow the modern extension to tie seamlessly in with the period architecture. The architect was commissioned to design a large and bright living / dining space for the client with an ‘industrial’ feel, which was created by utilising exposed steel beams throughout and further enhanced by the Ottostumm glazing systems steel profiles and vintage crank handle highline system for opening the out-of-reach windows sashes. NBK also used our Sky-Frame frameless sliding door system to create a seemingly invisible transition between the interior of the house and the exterior garden terrace. 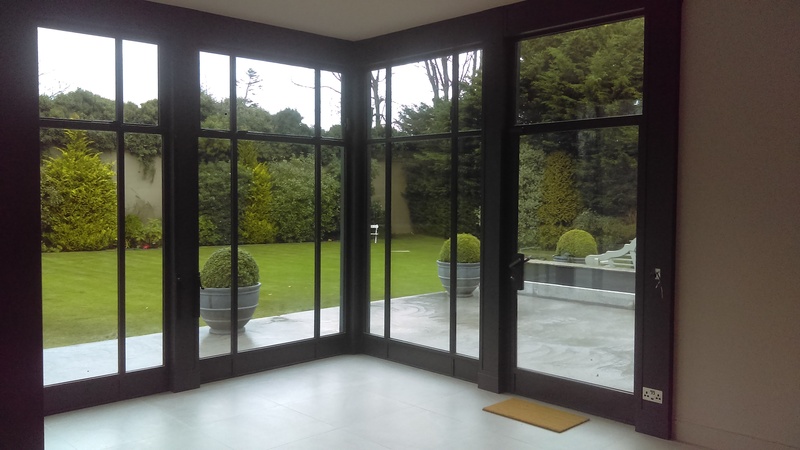 Sky-Frame is renowned for creating “A view, not a window” and the head, base and jamb tracks of the system are concealed within the building structure to allow for maximum light and minimal frame intrusion. A 3-track telescopic opener with two panes sliding behind the third gave a clear opening in excess of four metres in width. 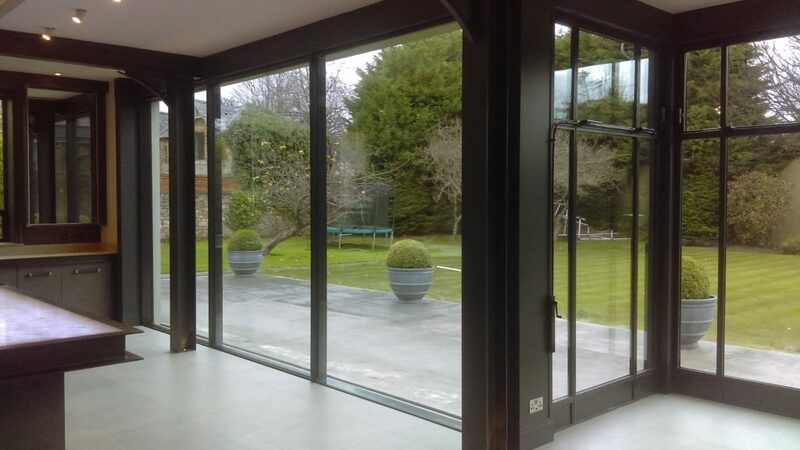 We delivered steel reinforced Sky-Frame 2 double-glazed 28mm wide mullions to satisfy the geometry of the three panes filling the 6.1m wide x 3.07m high opening and windload of 1.3kN/m2.